"Entrepreneurial Overwhelm" is something I deal with on a daily basis. How fancy it sounds and how far from it it actually feels. 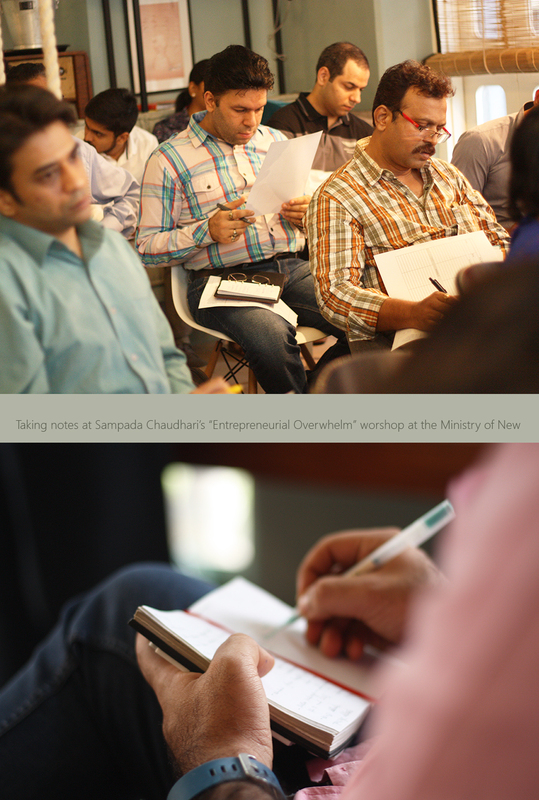 So when I heard that Sampada Chaudhari was conducting a workshop on how to deal with it, I signed up in a heartbeat. 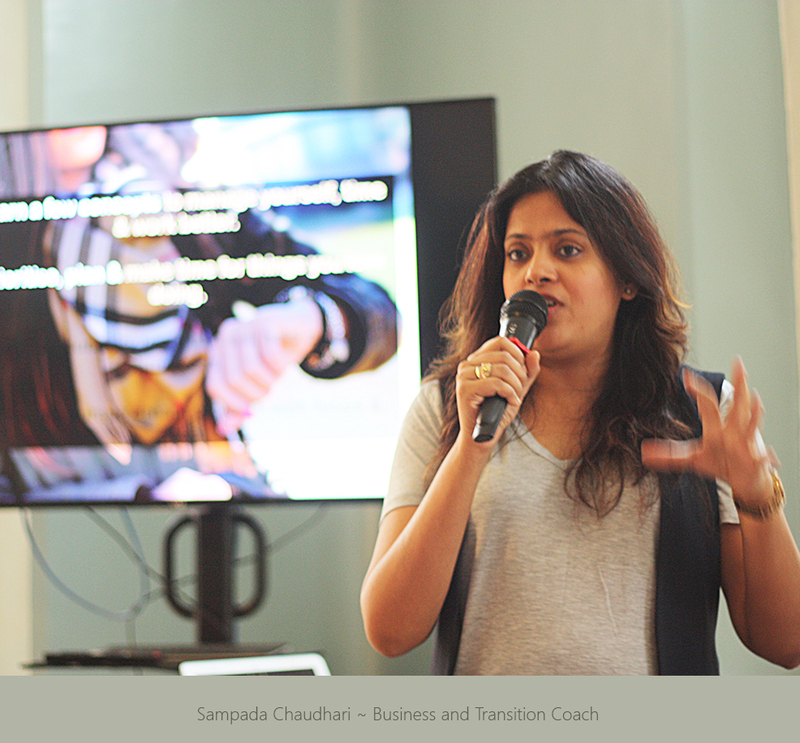 Sampada is a business and Transition Coach, and having taken a session on Money Breakthrough with her, I know how much value and insight she brings to the table, with regards to where you need to change and how to pace it. And she takes you through it with so much ease. That the venue was the much talked about Ministry of New made the decision even simpler. 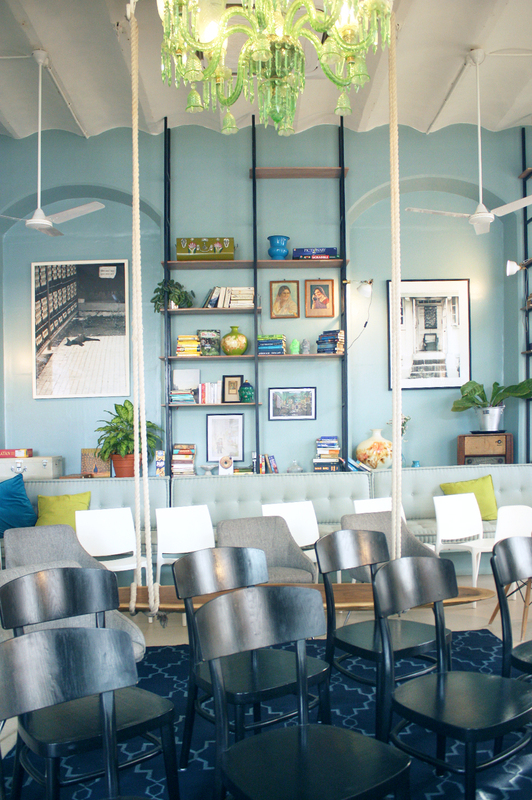 I have been meaning to visit this aesthetically designed co-working space ever since I chanced upon a few pictures of it online. 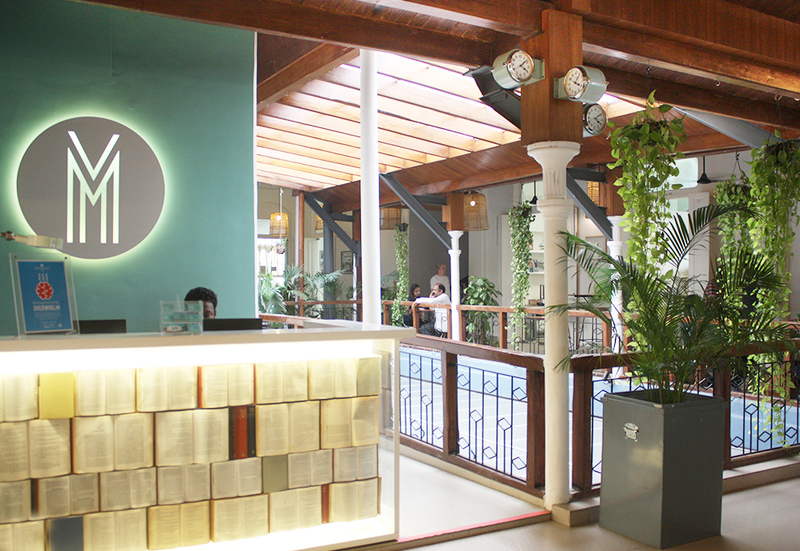 You walk in there and you feel the silent and strong pulse of entrepreneurial India. If inspiration is what you are looking for, you will find more than what you asked for. The sight of clusters or single people purposefully at work, on the businesses they are growing in a generous, contemporary and global space (which could be anywhere in the world really) is something that will contextualise the very real spirit of rising entrepreneurship in this country. 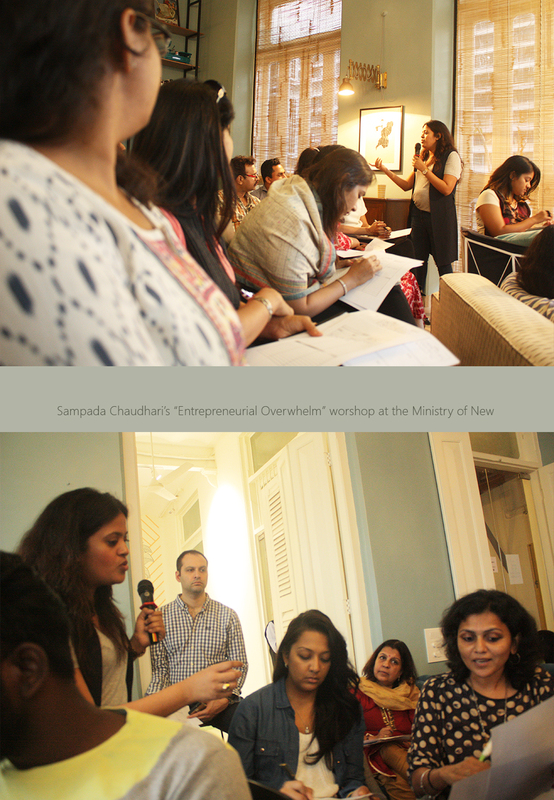 Sampada could not have chosen a more fitting ambiance for her workshop. 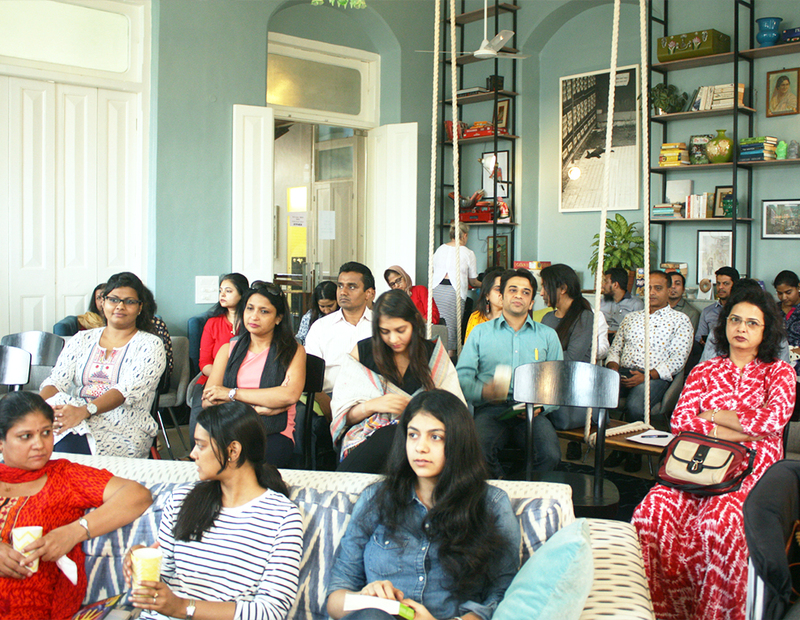 It was a full house, people kept pouring in even after the workshop started, and through the introductions and sessions, it became clear that people from all walks of life had come in, from film producers to people who coach entrepreneurs to people running their own design houses to working people who wished to start their own business to the youngest entrant who was 17 year old. 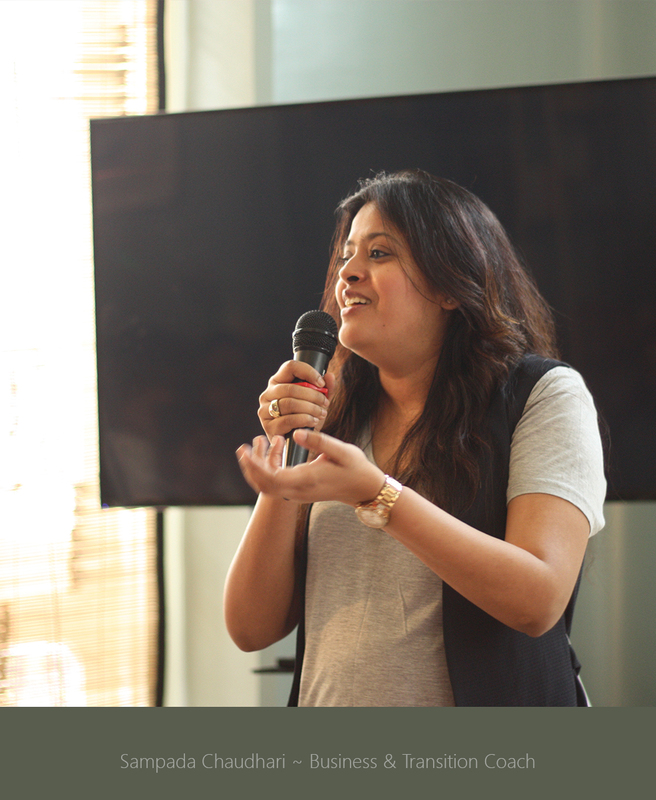 It was a pleasure to watch Sampada take all of us through solutions and tricks and introduce us to insights about ourselves. 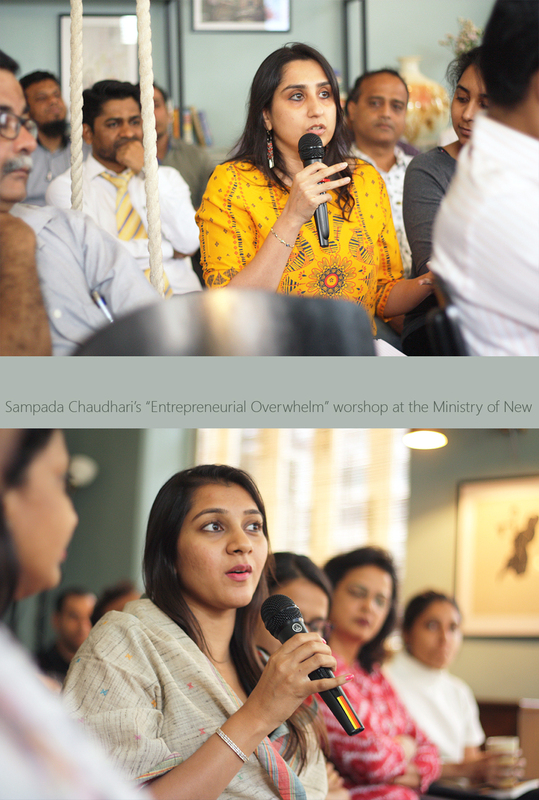 In this entirely participative process, the people who came in to the workshop shared their own experiences about the importance of saying 'no'. It was a pleasure to watch how in a span of 2 hours, Sampada effectively guided people to taking back a sense of reassurance that their lists were were not as impossible to execute as they imagined. Many others went back knowing that they can start with what they have, instead of waiting to find the "perfect team/partner" to start their dream career. 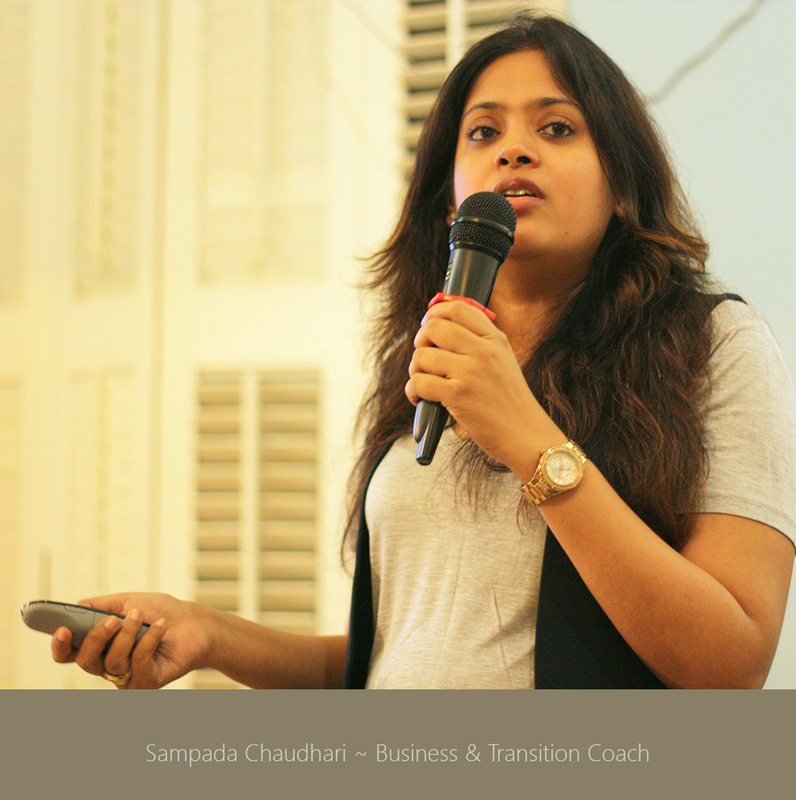 What worked for me with Sampada is that, here is someone who brings in a voice of wisdom and a perspective you will never have from the inside of your business. And it helps infinitely that it is a gentle insightful voice, filled with humour. It also helps that Sampada gives a neutral, non-judgmental ear to all that you have to say. Do check out her website sampadachaudhari.com to know more about her coaching programmes, and to figure what works best for you. For those of you looking for an inspiring cutting edge space to work out of and conduct your meetings at, the Ministry of New is your answer.